Excelsior offers spore ampoules for use in monitoring the efficacy of steam sterilization processes. Excelsior offers spore ampoules for use in monitoring the efficacy of steam sterilization processes. Spore ampoules are ideal for use in validation of liquid sterilisation cycles. No activation is required; simply expose spore ampoule to sterilization process and incubate. Spore ampoules are available in several configurations. 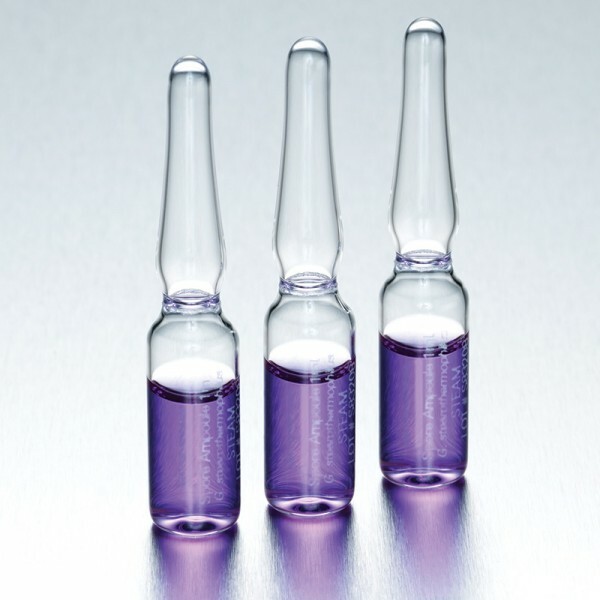 All spore ampoules are hermetically sealed type I borosilicate glass containing a modified Soybean Casein Digest Broth with bromocresol purple pH indicator and the specified population of Geobacillus stearothermophilus spores. Growth is evident by either turbidity and/or a colour shift from a purple to or toward a yellow colour. Need Advice on our Spore Ampoules?